©2009-16 paulf. All rights reserved. 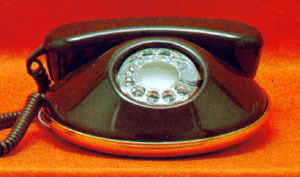 During the 1970s phone subscribers were permitted to own decorative housings for their phones for the first time. 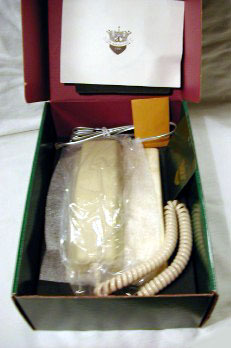 Imagination sets, introduced in 1977, were Northern Telecom's line of decorative phones. such as TeleConcepts, North Supply and Centel. with a few additions from my collection and photos from site visitors. 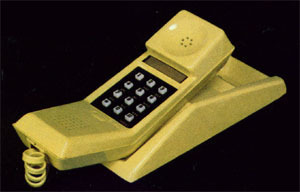 It is presented as a reference to help identify some of the models sold in the 1970s and early 80s. You can click on the following link to open a list of NT Color Codes in a separate window to use as a reference while viewing color references on this page. The window may be manually resized and positioned on the desktop to be visible with this window. Open Color Code List in new window for reference. If you prefer to stay in one window, the list may be viewed by clicking on links like this Color codes: which will jump to a copy of the list on this page. You may then return to the chart by using your browser "back" or back arrow functions. The color palette changed frequently. Any single list is unlikely to show all colors produced. Colors shown are added from multiple lists found to date. More will likely be found in the future. Please report any other colors found in documentation or on sets in your collection. Early sets were hardwired. 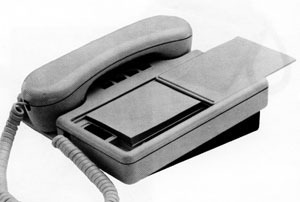 Later sets had modular connectors on handset and line cords. 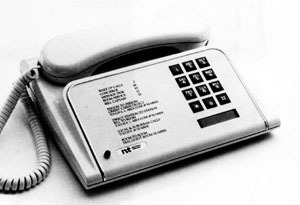 The "A" model number suffix in the table below was changed to "F" after adoption of the eTechnology electronic dial in 1980.
eDigitone 2500 and eDigipulse 3500 sets were added to all tone styles in 1981. Please send additions and corrections. Most commonly found in two-tone pumpkin and orange. 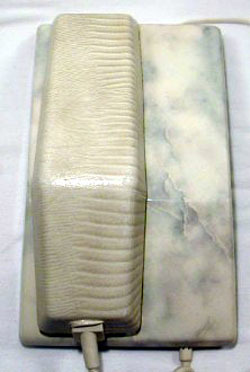 Camouflage model sports a gray bottom with painted upper plastics and decals for engine exhaust, wing stars and tail flags. 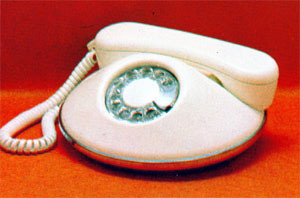 Plain white model has a white dial center cap. The white set was also customized with decals for several airlines, including Delta (shown) and Eastern. 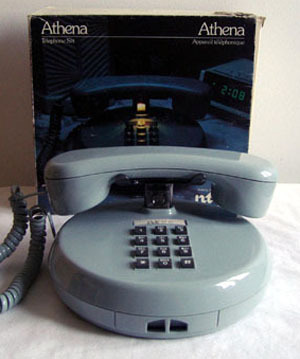 Available in a basic model with bell ringer and no fancy features. 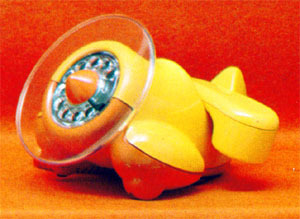 Dial illuminated with a small battery powered bulb in the cradle. The light goes out after 15 seconds to preserve battery power (9 vdc). 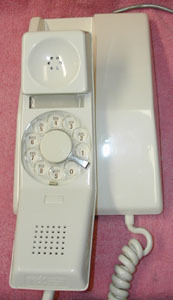 Lamp provides a visual ringing signal. 10-number memory with drawer for number list. Color codes: -20, -29, -82. 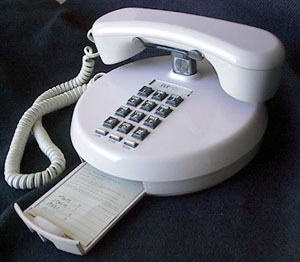 Rotary (Model 100A) or tone dial (2100A). 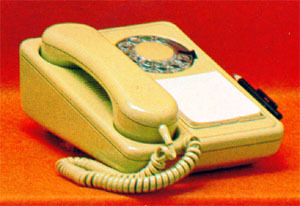 Northern's version of the dial-in-handset phone (e.g. 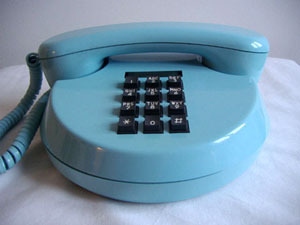 Western Electric's Trimline). 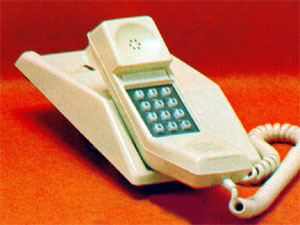 The Contempra preceeded the Imagination series my many years, but was marketed as part of the series. 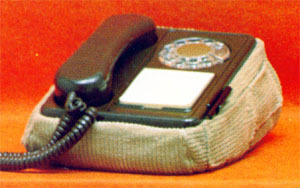 View Contempra model variations, including 2-line, message waiting and speakerphone here. Color codes 1972: -20, -21, -22, -23, -24, -25, -50, -51, -60. 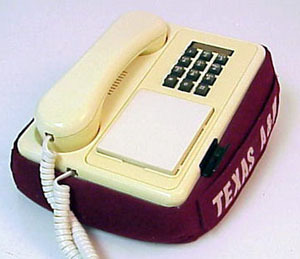 Color codes 1981: -14, -20, -23, -24, -25, -26- ,29, -31, -50, -60, -67, -68. Color codes 1982: -14, -20, -24, -26, -31, -60, -67, -68. Color codes 1985: -20, -26, -67, -82. 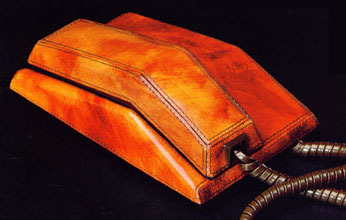 The Contempra covered in handcrafted stitched leather in Italy. 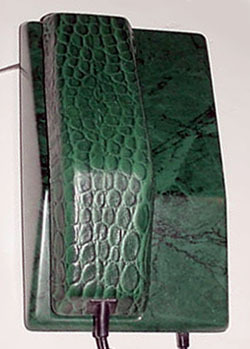 Available in dark brown, light brown and green leather. 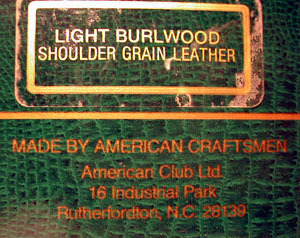 Color codes: -46, -47, green leather. 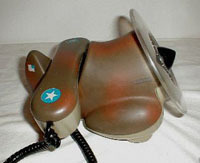 Tone dial (Model 3100C), Digipulse dial (9293). 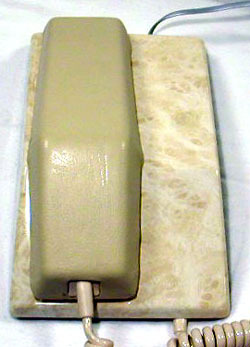 Contempra-style handset on a narrower base with electronic ringer. Color codes: -20, -26, -31, -60, -67, -68. 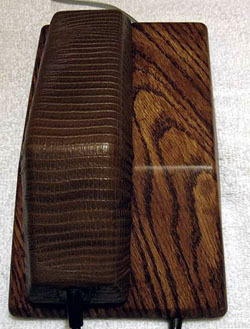 Could be enhanced with optional gold or chrome trim ring around the base. Color codes: -14, -20, -24, -26, -29, -51, -67, -68. Color codes: -03, -14, -26, -84. 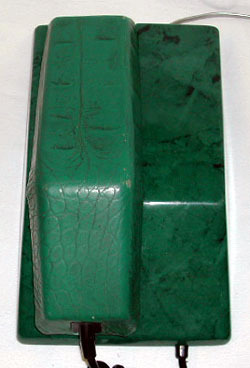 Convertible by user for desk or wall use. Color codes: -26, -67, -82, -90. 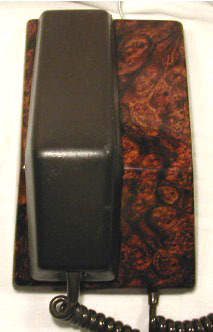 Desk Rotary (Model 430), tone dial (2430) or Digipulse (3430). 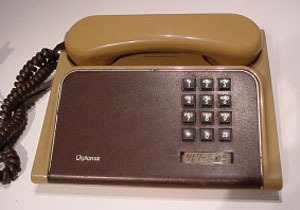 Wall Rotary (431), tone dial (2431) or Digipulse (3431). Note pad and pencil holder. Color codes: -14, -20, -24, -26, -29, -31, -51, -67, -68. 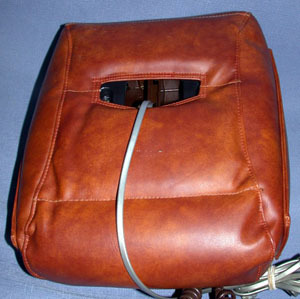 Doodle with a beanbag-style pouch with side pockets. 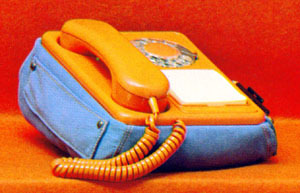 Common fabrics included brown leatherette, tan corduroy and blue denim. The pouch was available in the Kangaroo package or seperately as an add-on for the Doodle. Custom pouches were made for universities and company events. Color codes: -14, -20, -24, -62, -67, -68, -82, -84. These 2-digit codes appear as a suffix on the ordering code. Published in the 1970s and early 80s (source list above). 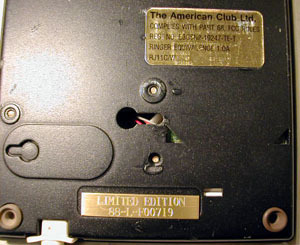 The American Club Ltd. provided upscale versions of the Contempra sets made in Nashville, TN for the American market. 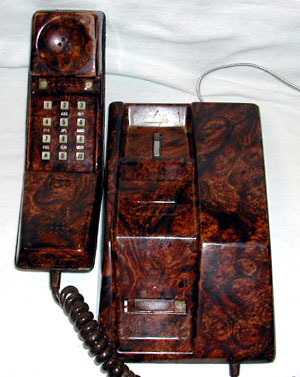 Handsets were covered with leather and housings and handset faces were painted in patterns to simulate wood or marble. 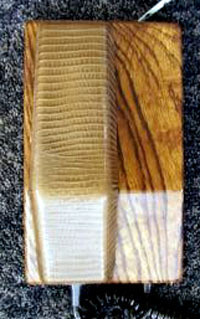 Sets were finished with engraved brass "Limited Edition" plaques on the bottom and packaged in fancy boxes. 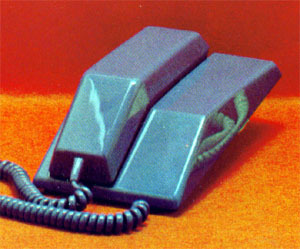 The paint typically shows wear on the handset and cradle from use, often revealing the color of the plastic underneath.